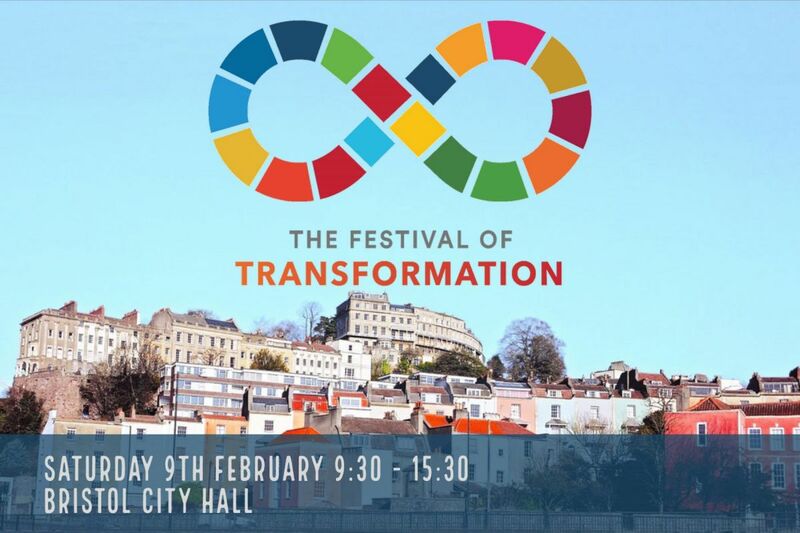 The Festival of Transformation is the latest in a series of large events in Bristol put on by Global Aware and aims to inspire and encourage action for a sustainable and hopeful world, to overcome the common narrative of division and fear. There is a need for fundamental changes to the way societies and lifestyles are shaped if we are to provide for a just and sustainable future. 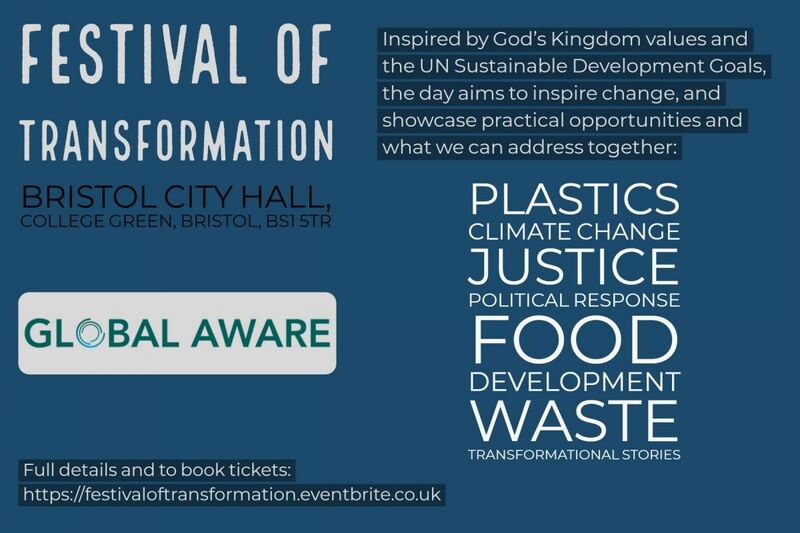 Inspired by God’s Kingdom values and the UN Sustainable Development Goals, the focus will be on positive empowerment to bring change, practical opportunities and what we can do together, rather than allowing the enormity of the issues to generate paralysis. 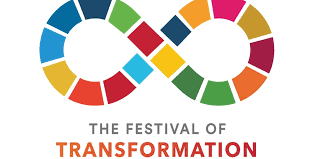 SDGs – God’s Global Goals? Agencies involved in justice, development and environmental issues and the political response, and holistic mission will have stands.